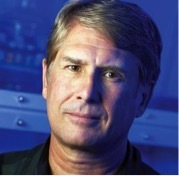 Dr. Ryals has served as president, CEO and a member of the board of directors at Metabolon since April 2002. Prior to founding Metabolon, he was chief executive officer, president and founder of Paradigm Genetics, Inc., a publicly traded agricultural biotechnology company focused on industrializing the process of gene function discovery. Dr. Ryals has 30 years of experience in the biotechnology industry, including senior research positions at Novartis and Ciba-Geigy. He currently serves on the board of directors at AgBiome, a provider of early-stage R&D for agriculture, and the advisory board of the College of Agriculture and Life Sciences at North Carolina State University. He earned a B.A. in biology and chemistry from the University of North Texas and M.S. and Ph.D. degrees in molecular biology from the University of Texas at Dallas.